Pillar content, also known as cornerstone content, isn’t a new idea. Indeed, pillar content is a proven way to organize comprehensive information on a particular topic in a way that’s easy to navigate, easy to read, and full of actionable content. But what exactly is pillar content, and how can you create it to benefit your business? Think of pillar content like writing a book. The work explores a general topic, but each chapter walks readers through an important subtopic that explains a bit about the core subject in greater detail. Each of these chapters lays a foundation for the work as a whole, and organizing a book in this way makes a lengthy work easy to read and navigate. Pillar content in the digital age can involve any topic and encompasses an array of content types, ranging from blog posts to infographics, emails, product pages, videos, and social media updates. Depending on what your audience is interested in, you can use any of these content types as pillars that connect to your core topic. How Does Pillar Content Benefit Businesses? 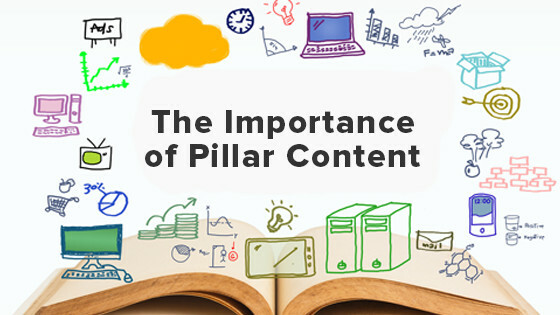 Pillar content benefits businesses by effectively breaking down a complicated subject into manageable chunks. In addition to effective organization and building a clear hierarchy for your content, each pillar creates new opportunities to attract readers. This marketing technique allows you to create multiple avenues through each subtopic, pushing users closer to your core topic while providing clear, actionable advice that can be leveraged to generate leads, call users to an action, or establish yourself as a thought leader in your industry. Inbound marketing aims to draw users to your site using content and social media marketing, search engine optimization, and similar techniques — and it should be a key part of your pillar content. To use inbound marketing effectively in your pillar content, focus on how each pillar can be used to attract people to your website. If you find that the target audience for one of your pillars uses a certain social media website, for example, you can start an account on that site to target those specific users. This allows you to appeal to a niche group while also having a core topic that appeals to a wider audience. Though pillar content isn’t a new invention, its best practices are constantly evolving to meet consumers’ needs and keep readers engaged. It’s also becoming essential in terms of content creation and marketing, as creating several solid pillars that feed into an overall topic helps you meet customers wherever they are and provide readable, compelling content that’s lean and actionable. Focus on the relationship between your core topic and each individual pillar. If your pillar content is a webpage, use short and specific URLs. This will help with search engine optimization and with your web architecture. 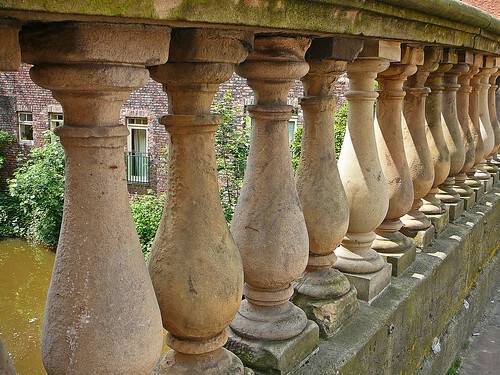 Update your pillars regularly. Some pillars can be further broken down into more specific subtopics, or perhaps you can combine topics in a more straightforward way. Also, revisit your links periodically to confirm that they’re still working. Use general keywords for the core subject and long-form keywords for your pillars. Create a clear, deliberate structure. The purpose of pillar content is to funnel readers closer to the core topic. Think from the reader’s perspective. Your content should be well organized, your anchor text should be clear, and you should be able to easily navigate to other subtopics and to the core material. The key to creating pillar content is to not only identify a central topic and the subtopics you can explore, but to also clearly define your audience, their pain points, and the unique solution you provide. Once you have this information, you can create deliberate content that appeals to specific readers for a specific reason. The content creation process starts with selecting a core topic, defining subtopics and how they link to the core topic, and considering how the topic relates to your business and webpage overall. Your core topic will be something comprehensive that you’ll explore through a white paper, extensive article, webpage, e-book, or other types of long-form content. To select a core topic that’s broad enough to attract a wide audience, yet narrow enough to appeal to readers looking for a specific solution, search for general keywords that you can use to optimize the “roof” of your pillar content. The core topic should be no more than four words. With a core topic in mind, use clustering to come up with some long-form keywords. As you dovetail away from the core topic, you’ll find detailed subtopics that you can explore through short blog posts, Tweets and other succinct social media updates, and infographics that go into great detail about a small part of your overall topic. Placing internal links is vital to pillar content. Without thoughtfully placed, succinct, and direct links, you risk readers bouncing from your site. Make it easy for readers to navigate to other pillars and to your core page. When placing internal links on each of your pillar pages, start your anchor text with an action verb to call readers to an action by clicking. Next, add external sources when relevant to lend authority to your content. External links should be used to help readers dive deeper into a topic you’ve mentioned, or to share other valuable information related to your core pages. Finally, on the overall topic page, provide an overview of the general subject and links to every subtopic. This is also a good place to link to service pages and other relevant resources on your website. Pillar content is popular for a reason. If you’re in the early stages of developing a marketing strategy, break down a broad topic into subtopics to identify your pillars. And if you already have a marketing strategy, remember to revisit your pillars periodically to keep your content optimized.